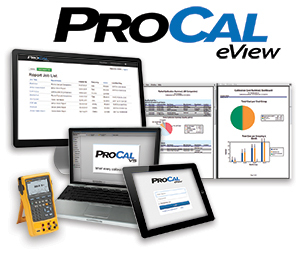 Shown below are the requirements for all versions of ProCal eView to work with ProCalV5 Oracle® and ProCalV5 MS SQL SERVER™. If you need further details or explanation, please contact us. 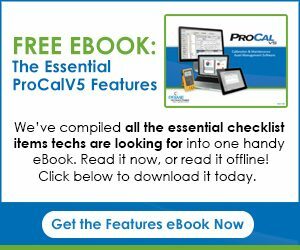 Having worked with and validated numerous systems for various pharmaceutical and biotech companies over the years, including other calibration and maintenance management systems, I found ProCalV5 to be the easiest to work with, validate, and implement. The system is intuitive, flexible, and mature, thus reducing the time and effort from initial purchase to Production roll-out to the end users. The customer service and support staff at PTI are extremely knowledgeable and responsive. Response time to questions or any concerns was almost immediate in many cases. 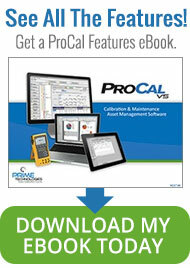 There is no question that my organization is 100% satisfied with our decision to move forward with ProCalV5 as our calibration and maintenance management solution. IT Compliance Supervisor, Fujirebio Diagnostics, Inc.